Below, we present a chart that compares eight common types of kegs, including how much beer they hold, their overall size, shape, dimensions, as well as their most common uses and nicknames you may hear them referred too as. While the comparison chart above gives you a quick way to compare different sizes of kegs against others, below we have gone into more detail on each type of keg. Designed for mini kegerators, this size keg only holds 5 liters of beer, or 169.07 ounces to be exact. 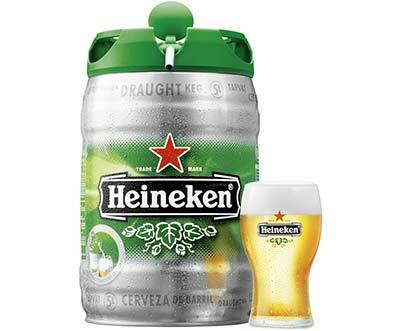 This is the perfect sized keg for one-time use and/or portable purposes. This may include watching the game with a couple of friends, weekend camping trip or a small dinner party with family. The downside of mini-kegs, is that you may have a hard time finding them with a specific beer you want. 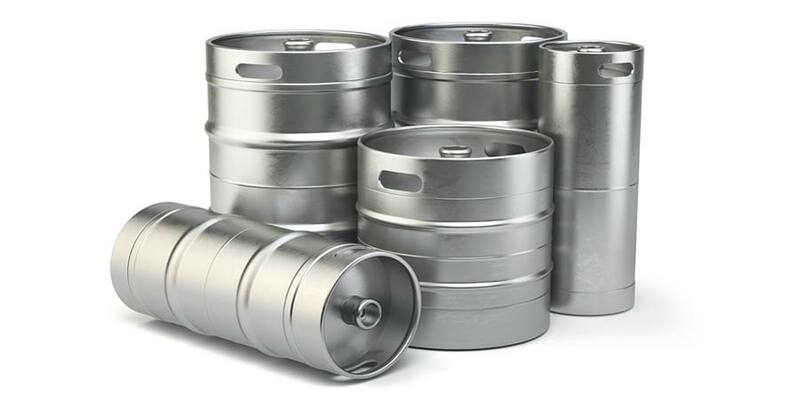 Here’s a list of the most common mini keg beers. Commonly used by homebrewers as an alternative to bottling their beer, Cornelius kegs were originally developed by the soft drink industry. While Pepsi and Coca-Cola both have uses for them, they have grown in popularity by those that brew their own beer or soda from home. They are easy to fill up and clean. 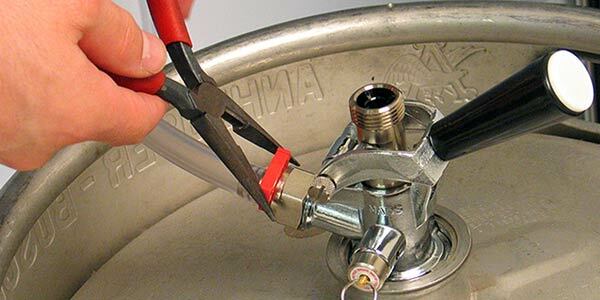 There are two types of connectors that are available for the Cornelius keg, including ball-lock and pin-lock. Both have different connectors that you would need to become familiar with. Commonly used for personal use in dual or triple-tap kegerators, the sixth barrel is roughly the same size as the Corny Keg, just slightly larger. 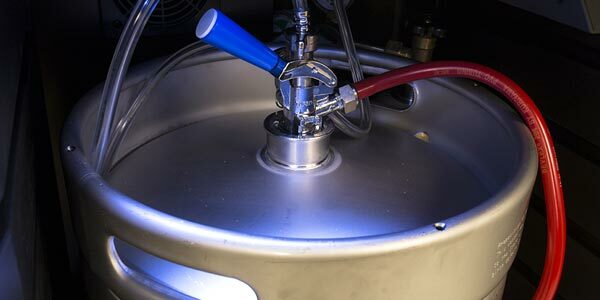 This smaller sized keg functions just like their larger counterparts with the only difference being that it holds less beer than other types of kegs. 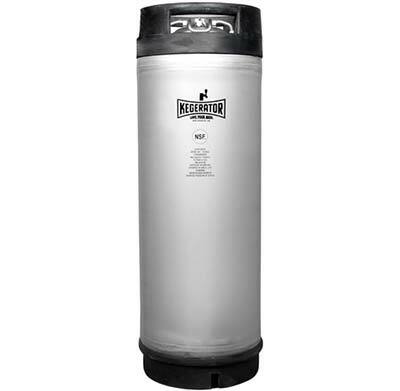 This size keg is also a great choice for restaurants and/or bars that have little space, but want to have a large variety of beer available for customers. Short and stubby in size, the Quarter barrel keg is the same width (16⅛”) as a full barrel, yet approximately 10″ shorter in terms of height. Commonly called a “Pony Keg” or a “Stubby Keg,” this popular keg size will hold the equivalent of sixty-two pints or eighty-two bottles off beer. The Slim Quarter holds the exact same amount of beer as the aforementioned Quarter barrel, however, the over shape and size resembles the sixth barrel keg. This variation in size makes it a popular choice for anyone with a dual-tap kegerator. With a tall and skinny build, the Slim Quarter is the same height as the Sixth barrel, but has a slightly larger width. This extra width allows it to hold an extra two gallons, which equals an extra 27.5 bottles of beer. When you think of your average beer keg, the Half barrel size is probably what comes into your mind. Undoubtedly, you’ve probably seen this size keg at a party or large event. 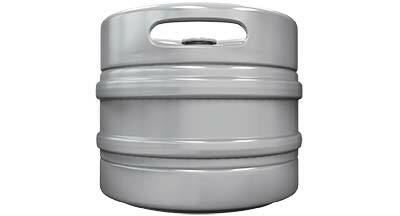 This full size keg is the largest that is available to you, and what is commonly used in bars and restaurants across the world. Most home kegerators will fit this size keg, however, the smaller versions are typically more popular amongst craft beer drinkers. 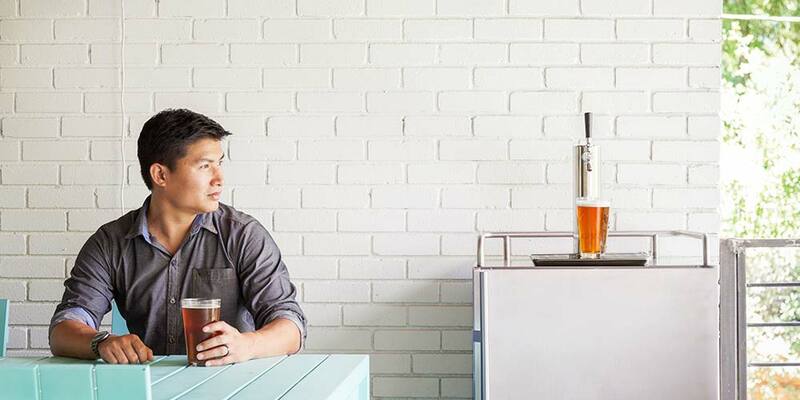 Will That Size Keg Fit In Your Kegerator? This is a common question that everyone has after buying a kegerator. Don’t be shy… Please leave a comment down below or give us a call at 1-866-950-8710. The same goes for any other questions you may have about the shape or size of kegs? 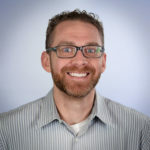 Jeff, I just purchased quick connect so I can switch readily between cornies and conventional halves and quarters. Unfortunatlely my tall 1/4 of Yeungling is too tall for the kegerator with the quick connect. Are their shorter quick connects that may solve my problem? other suggestions? thanks! Sorry for the late response. If you have not already found a solution to your issue, we will be carrying a 90 degree elbow that you can connect to the top of the commercial coupler that should give you the necessary clearance to attach the quick connect at a 90 degree angle. Please check back on our site in the couplers section soon. Thanks for this list of different sized kegs. Very handy. I always thought that there was only one size. The full barrell. I recent bought a 6 ft.³ single tap kegerator and need to know what size keg is the best size to use. Any suggestions? Some are and some are not. Heineken and New Castle have a self- contained pressure source, which makes them not reusable without some major modification. Many European imports use external pressure sources or no pressure to push beer. These kegs can be reused. This type can be purchased from a number of on-line brewing suppliers. With the holiday fast approaching we want the exhilaration of drinking ice cold nectar from a keg for maximus festivas 😉 We are having a few guests and have reserved a sixth barrell but the looming thought when having a keg is that when friends and neighbors “get wind” there is always a chance that a few stragglers will pop in making this size keg seem inadequate. 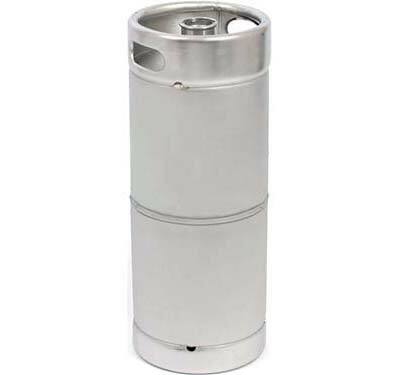 We have a small fridge that could convert into a kegerator but we dont have the necessary equipment which leads to my question, if we decided to go with a quarter or half barrell is it possible to use a disposable smaller sized co2 like the approx. 30 ounce size they use for paintball guns that they sell at Wa*%#rt for $20 so we may be able to preserve the unused beer for more than 24 hours and would a disposable tank be compatible with the pump style taps that the package stores offer? 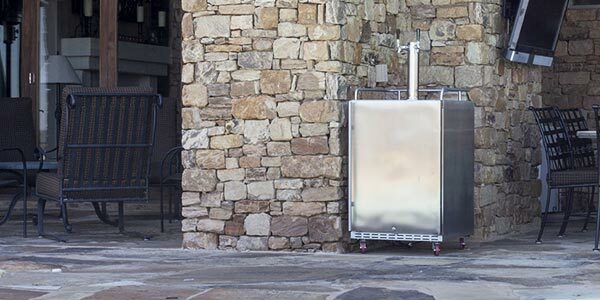 I spoke with the distributor and several package stores and the prices I was quoted for co2 tanks and conversion kits from recommended local retailers were such that I would find better value in purchasing a brand new kegerator which is why I would be thrilled if this other idea could work. One of the reviews that I read for the 30 ounce tank the customer mentioned that he was going to use it for a beer keg. I also read that a traditional lager normally needs 10-12 psi of co2 pressure and a 5 pound (90 ounce) co2 tank will usually last for 2-4 half barrells depending on temperature conditions. The alternative is to dump the unused beer if we end up just packing it on ice because it will turn sour on Sunday without the co2. Package stores/distributors should offer the co2 option even if you just stick it in a regular refrigerator during or after your party/event. A conversion kit with a standard co2 tank would be the most budget friendly way to go if you already have a refrigerator to convert. 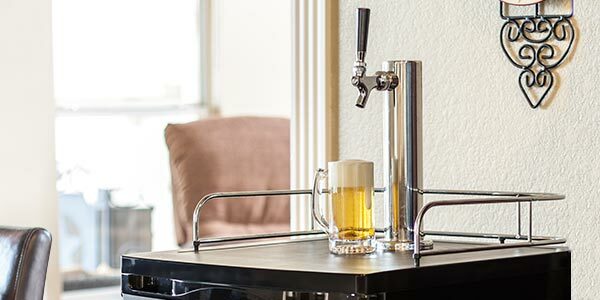 If you didnt and did not want to deal with converting a standard fridge than a traditional kegerator setup would be most likely what your looking for. As far as those little 12 gram co2 cartridges, it would take multiples of those plus the specialty parts to connect it to a kegerator system which could work, but it would be much more efficient and cost effective to do a standard co2 tank setup like a 5 pound tank. If you kept the keg refrigerated, the keg should last you 2-3 months. My Kegerator is double tap but can hold 3 1/6 kegs (one for reserve). I’m struggling because I’ve always kept bud light on tap plus one better beer. For the life of me I can’t find bud light in a 1/6, only bud. Is it an urban legend? Lastly, have you ever seen somebody pull off stacking two 1/4 kegs in a kegerator, running the beer line through the handle?? I have rarely seen Bud Light in 1/6 barrels, I have seen them in 1/4 slims before but it is dependent on your beer distributor. I have seen people stack two 1/4 kegs before, you’ll want to look for keg stackers. Restaurants/bars use them all the time so it is definitely a possibility. Has any one created a hook up for co2 for the mini kegerator ? I can’t get the cartridge to seal ! I have a Kenmore Keg Fridge (the last one from the catalogs purchased 22+ years ago.) works great with a 8LB co2 bottle. — Will 2 sixths or 2slim fit?? — Is it easy to change from one tap to two?? — Is it worth it?? — Will the 8LB co2 bottle run both?? but,,) Without knowing the interior dimensions it would be hard to say, but yes you would definitely need to measure and use the dimension from the above keg chart to see what would fit. — Will 2 sixths or 2slim fit?? See chart for dimensions. — Is it easy to change from one tap to two?? It is, just a matter of drilling an additional hole through the fridge and some extra parts inside. — Is it worth it?? 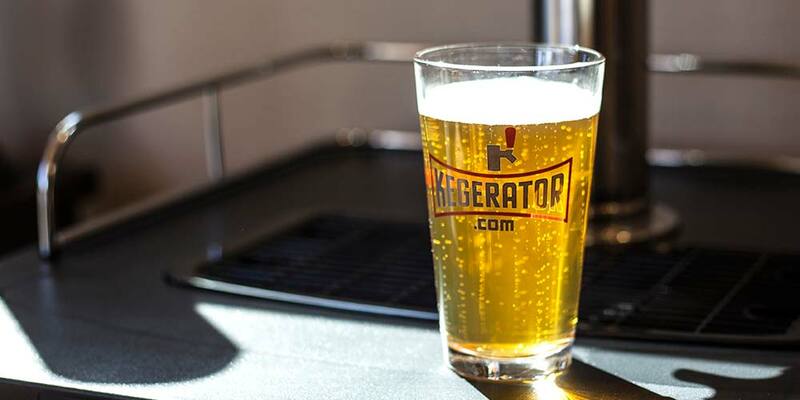 If you already have an existing fridge to convert you can save money by converting it rather than buying a premade kegerator. — Will the 8LB co2 bottle run both?? Yes it would. You would need to split the air lines, either with a splitter or air distributor. — Does co2 go “bad” Its more the tank you want to worry about expiring. They require to be hydro tested every 5 years to make sure they are safe to use. If the tank is as old as the fridge I would definitely get it either inspected or replaced. After about a half a keg of my sixth barrel first keg, just foam comes out, so the beer is flat. I tired adjusting the pressure with the regulator, but it won’t adjust. Any advice? I’ve heard that the regulators are junk. Hey do you know of any commercially available kegerator that will fit a 15.5 gallon and a 5 gallon leg? I have a EDGESTAR DUAL TAP KEGERATOR – STAINLESS STEEL (ES KC2000SSTWIN). 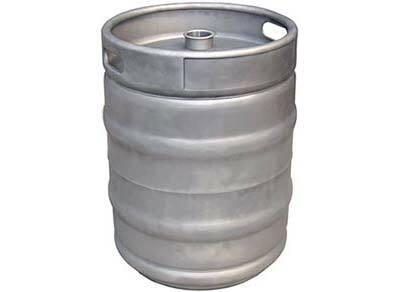 Need to know the exact term for the type of kegs that will fit it. I had to return a 5 gal PubKeg, aka, Rehrig keg because it was to wide. I have been calling them slim kegs or Sixth BBL kegs.but it seems some are wider than others-an example is Charleville Whiskey Scented Santa beer comes in a wider slim keg. I need to be able to tell my keg guy exactly the keg name that I need. Help? 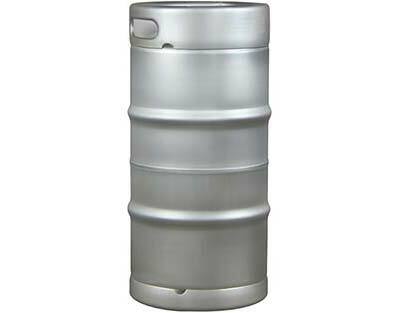 Do anyone sell a plastic barrel that would accommodate a 6th barrel keg and ice? Sort of a portable kegerator for camping. Hi Jeff, you have an error in this chart, or rather a lack of complete information. Ball & Pin Lock Cornelius kegs have different dimensions. you are only showing pin lock dimensions. Otherwise you have one of the most useful keg comparison articles around. keep up the good work! I have a BR2001BL/SS edgestar kegerator. Can it fit 2 smaller kegs, and if so what size? Or can it only fit one 1/2 barrel?